Zhangjiajie City is located in the northwestern part of Hunan Province. It is located at the junction of the Yunnan-Guizhou Plateau and the settlement area of Dongting Lake. It is between 109°40″ and 111° 20″ east longitude and 28°52″ to 29°48″ north latitude. It connect Shimen County, Taoyuan County in the east, Yuanling County in the south and Hefeng County, Yi’en County of Hubei Province in the north. Wulingyuan Scenic Area was designated a UNESCO World Heritage Site in 1992 as well as an AAAAA scenic area by the China National Tourism Administration. 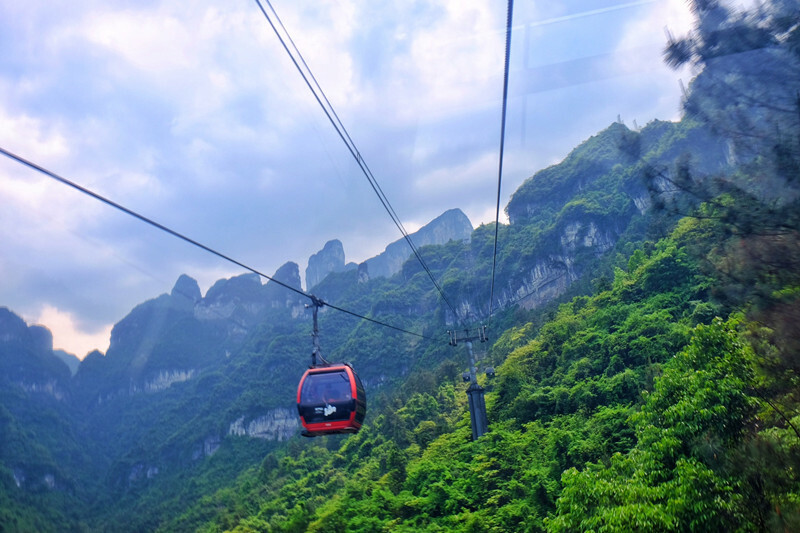 Three Must-see Attractions: Zhangjiajie National Forest Park, Tianmen Mountain National Forest Park, and Glass Bridge in Zhangjiajie Grand Canyon are the representatives of Zhangjiajie sceneries. Come here and experience the unique beauty of Zhangjiajie. Colorful Ethnic Culture: In addition to the natural sceneries, Zhangjiajie is a multi-ethnic area with 33 ethnic minorities. It has a rich cultural landscape with ethnic characteristics, which attracts a large number of tourists from all over the world, and has a high popularity and reputation in the tourism field at home and abroad. 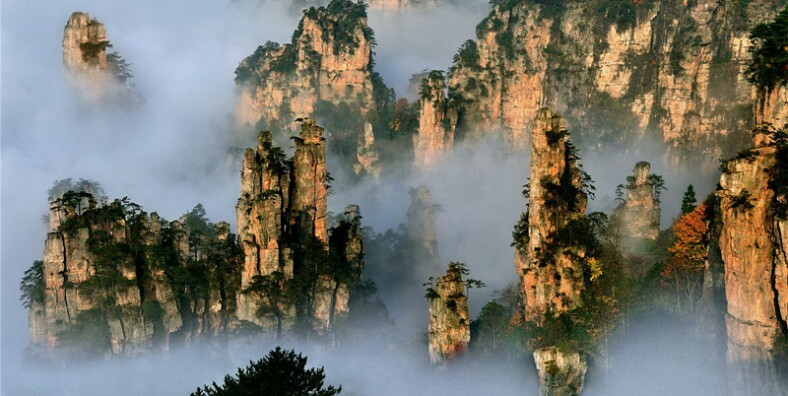 Shooting Location of Famous Movie “Avatar”: The shooting location in Zhangjiajie of Avatar is the Yangjiajie Scenic Area in Wulingyuan District, Zhangjiajie. The prototype of the main hilltop of Hallelujah Mountain is the “Qiankun Column(乾坤柱)”. There have been two scenic spots such as “Yu Ping Feng” and Baofeng Lake Waterfall in Huangshi Village. 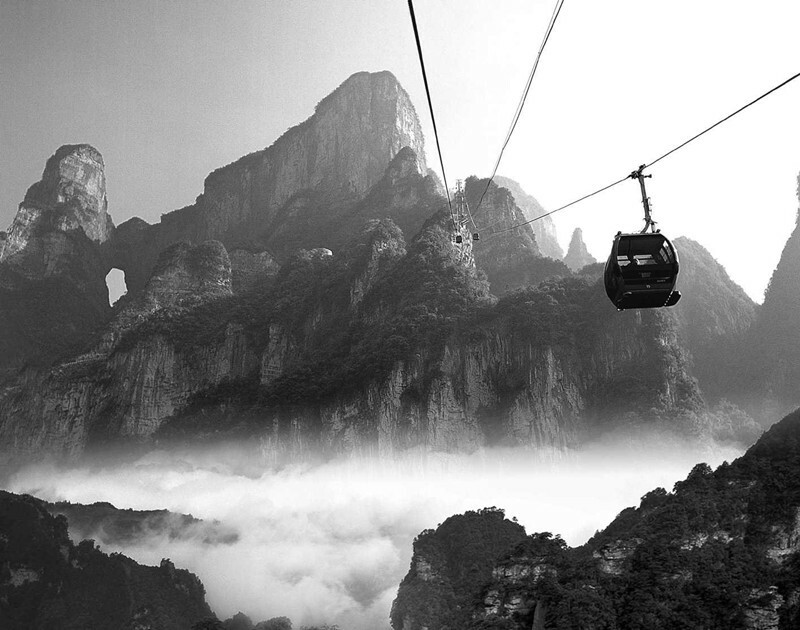 Paradise for Photographers: Zhangjiajie is a place where is full of attractions. Even you do not have the skilled photography technology, you can also take the beautiful photos.